Free reports on U.S. Federal criminal prosecutions and convictions, based on the most recent Department of Justice data. Go to TRAC Bulletins. 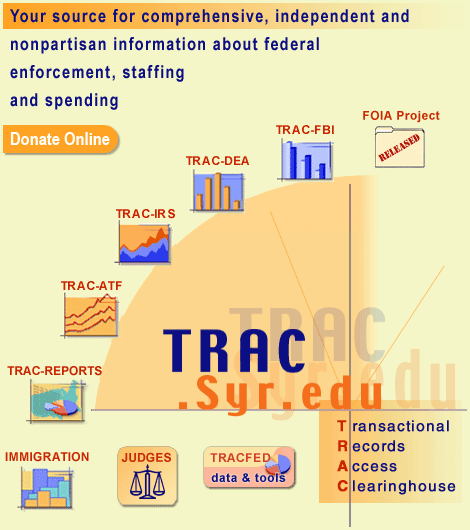 Create reports from TRAC's extensive warehouse of criminal prosecution data. Try it now! The contents of these pages are copyrighted by TRAC. Persons citing the information should credit TRAC, Syracuse University.